Joint health is affected by many factors including heredity, gender, sports activities and weight. Both Glucosamine Sulfate and Chondroitin Sulfate are key structural components in cartilage. Extra Strength Glucosamine Chondroitin Complex plays an important role in the maintenance of joint cartilage. 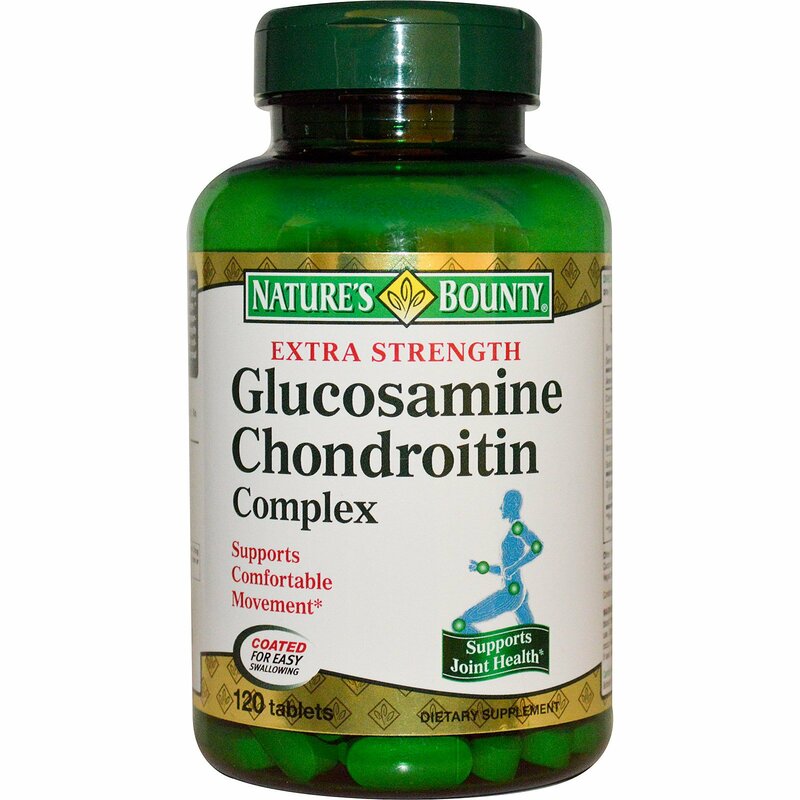 Extra Strength Glucosamine Chondroitin Complex also contains Vitamin C for collagen formation and Manganese, a mineral necessary for normal skeletal development. 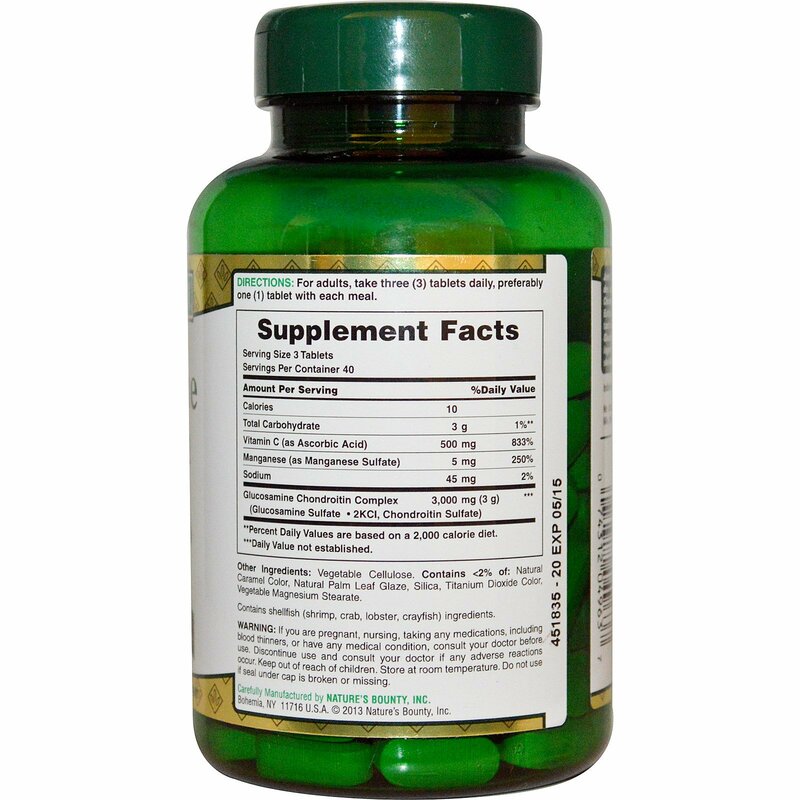 For adults, take three (3) tablets daily, preferably one (1) tablet with each meal. Vegetable cellulose. Contains <2% of: Natural caramel color, natural palm leaf glaze, silica, titanium dioxide color, vegetable magnesium stearate. If you are pregnant, nursing or taking any medications, including blood thinners, or have any medical condition, consult your doctor before use. Discontinue use and consult your doctor if any adverse reactions occur. Keep out of reach of children. Store at room temperature. Do not use if seal under cap is broken or missing.